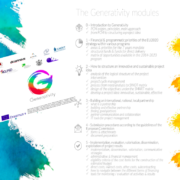 All the staff and organizations of the Generativity project offer you the possibility to learn and develop your skills and competences in developing and implementing your project ideas in order to maximize their impact and help you to design effective and sustainable projects. 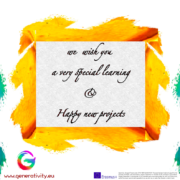 We consider the six training modules on Project Cycle Management that are available online as our way to wish you a happy learning and a happy new projects. From January onward the downloadable version of each single module will be available on the project website. 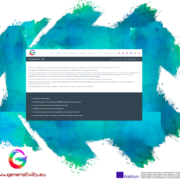 All the staff and organizations of the Generativity project are proud to launch the online version of the he six training modules on Project Cycle Management in six languages: English, Italian, Polish, Greek, Dutch and French. It was a great effort for us to implement the modules, and we are proud of the results which we achieved. In the next weeks we will finalize the modules in order for you to freely download them straight on your IT devices. By offering them online, we take the opportunity to greatly thank all the professionals and the partner organizations that have worked on the implementation of the training modules for their great and valuable work of sharing their skills. A special thanks to the students of the University of Thessaly who tested our work. Now it is your time: read the modules, and learn how to develop an effective and sustainable project! Everything is ready for the launch of the six training modules on Project Cycle Management that will be out tomorrow! From tomorrow everybody will find online the six training modules on Project Cycle Management in six languages: English, Italian, Polish, Greek, Dutch and French. We are working hard to meet the challenge of disseminating the training modules on project cycle management. 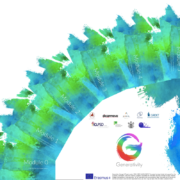 The partners implemented the six training modules out of an original concept of Paolo Brusa and Federica Cadeddu from Diciannove, then we tested them on our staff during a collective LTTA training event. After a precise evaluation about their share the pros-&-cons conducted by Dave Oborne from EEC, we re-worked them in order to maximize their efficacy in term of possible learners. The modules were divided among Diciannove, Danmar Computers, Cardet, EEC, University of Thessaly, KEA: we refreshed some slides; we modified others; we incorporated practical tips and suggestion; and we added notes to each slide to make them even more specific and exhaustive. Then it came the time for the evaluation by the students of the University of Thessaly. The last stage was run by Danmar Computers, who edited and refined them to be ready for the IT environment. As we posted in the news, the Erasmus+ call 2018 is out, and we want to support the wider audience that will be interested in the development of new project ideas. Three more days and you will find online the six training modules on Project Cycle Management in six languages: English, Italian, Polish, Greek, Dutch and French.